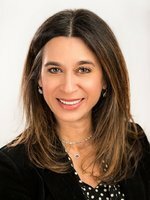 Sarit Elias has always set high expectations for bringing a superior commitment and passion to every client and transaction! As a resident of the North Shore for Over 20 years, she possesses strong knowledge about the real estate market and is very familiar with the local areas, neighborhoods & current market conditions. She enjoys keeping her clients informed to take advantage of market trends with discretion and personal attention. Her understanding of how to market properties and negotiate deals consistently puts her and her clients in advantageous positions for success. I work with technology and resources to generate the demand for your property that f it deserves. With the backing of Daniel Gale Sotheby’s International Realty, I am able to maintain active alliances with such organizations at The Realty Alliance, Who's Who in Luxury Real Estate, The Broker's Council of Real Trends, and the Asian Real Estate Association of America. Our website, coupled with the power of search engines and our relationship with "The Big Three", Zillow, Trulia, and Realtor.com and numerous other websites presents our listings to an audience worldwide. Our combination of technology and personal service creates a platform for effective home searches and also results in the most qualified buyers for our sellers. I personally work with buyers and sellers on all levels! Beautiful Colonial, New To Market, 5 Bdrms, 3 Full 2 Half Bathrms, Eat-in-kitchen, Lg Formal Dining Rm, Lg Living Rm, Den, Generator, Close To Town, Lirr, Shopping, Great Neck Estates Pool, Tennis, Doc, Police, Choice Of North/south Sd.